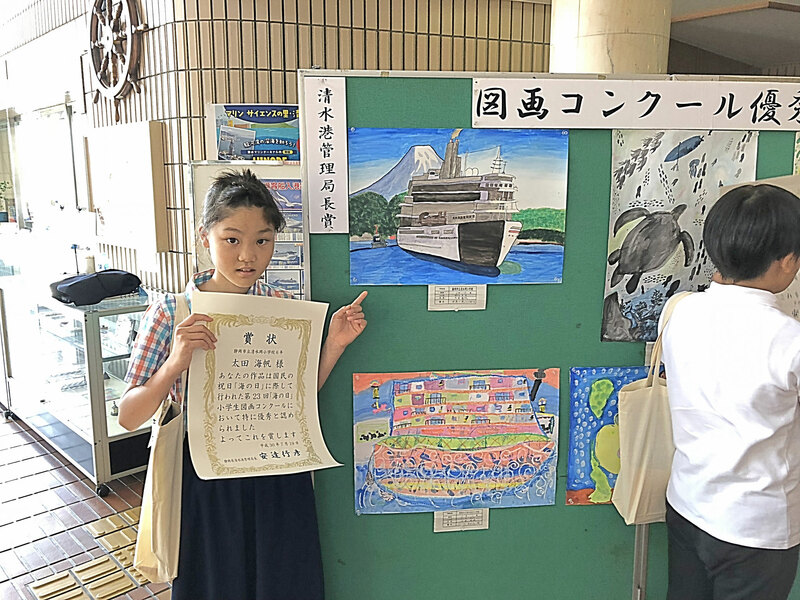 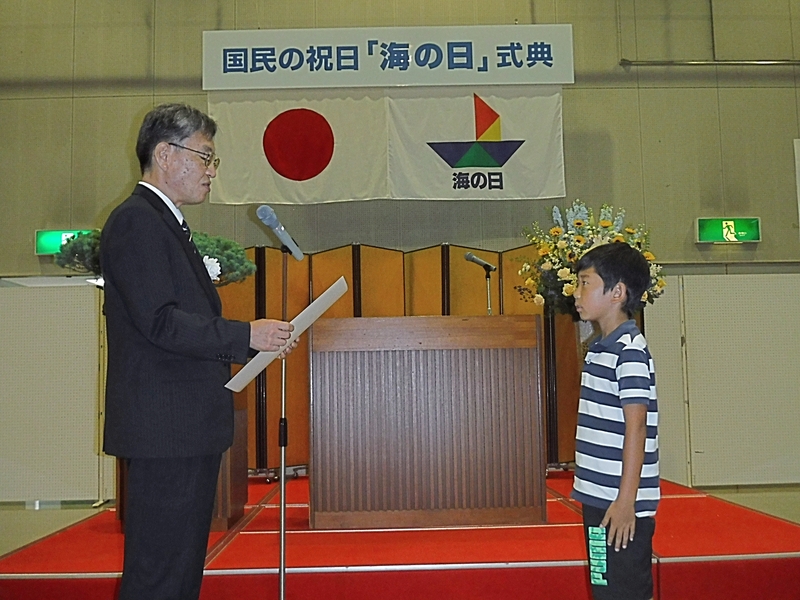 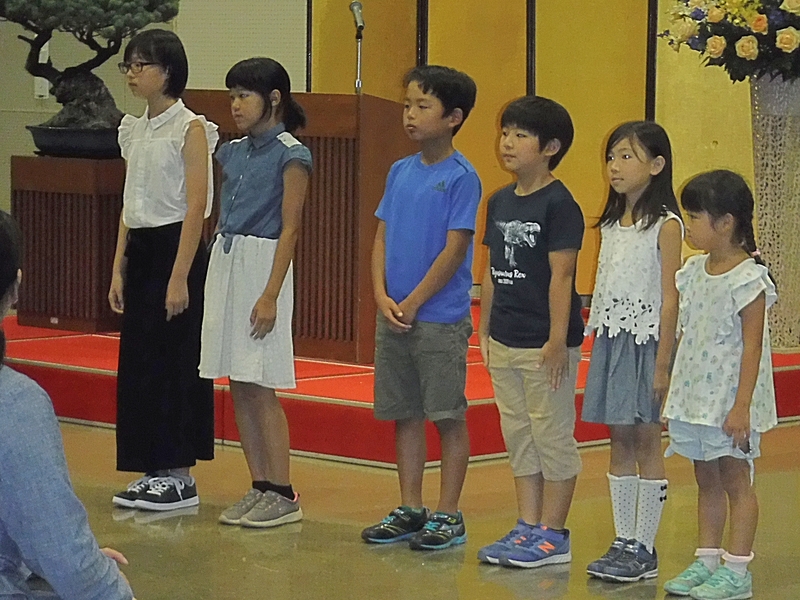 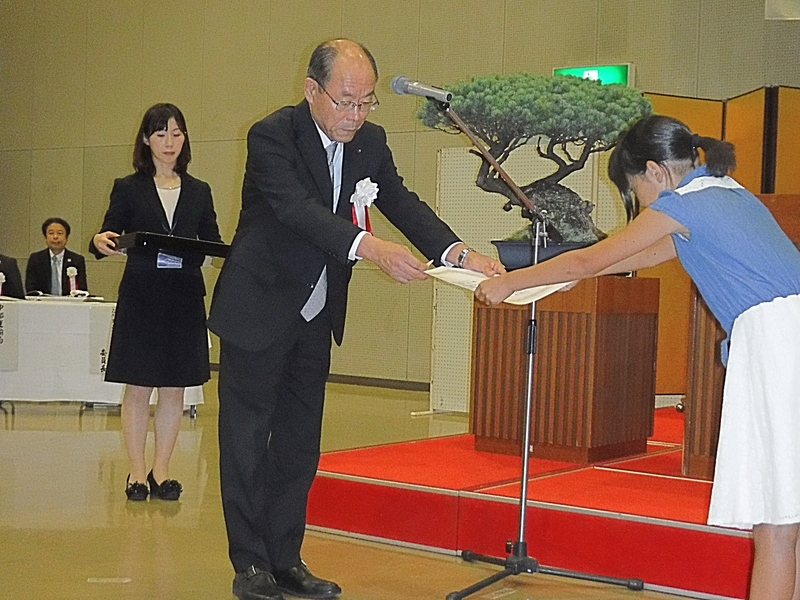 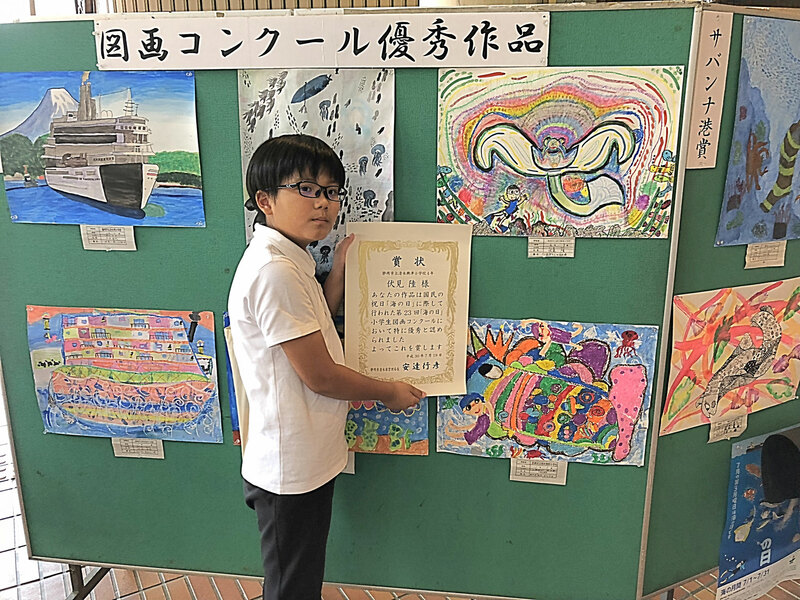 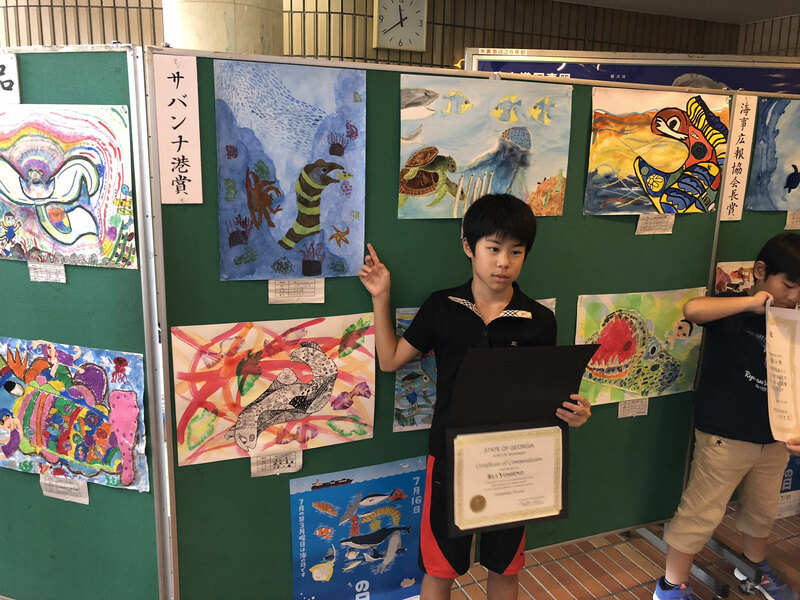 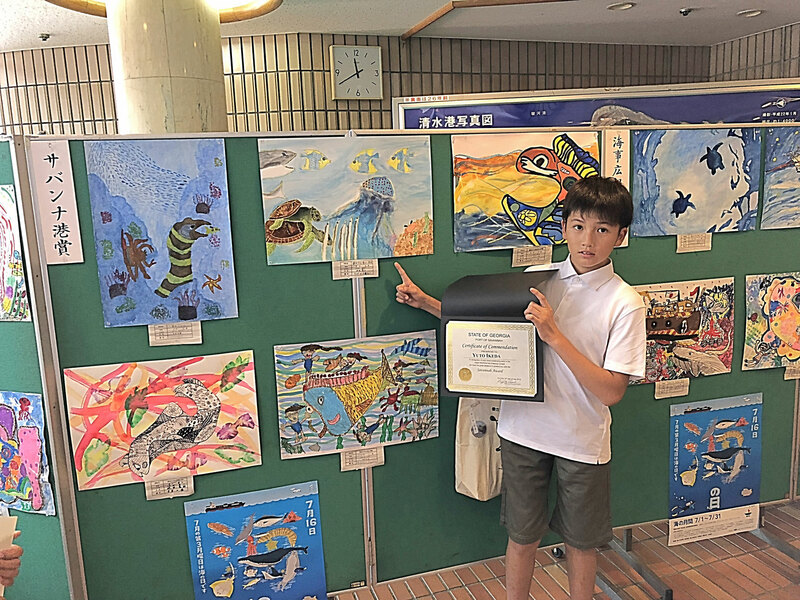 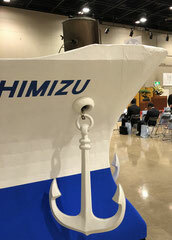 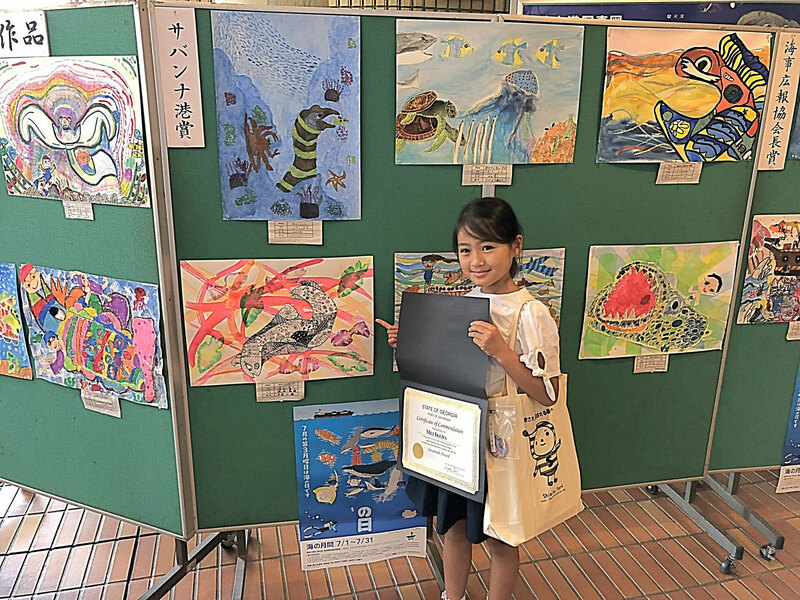 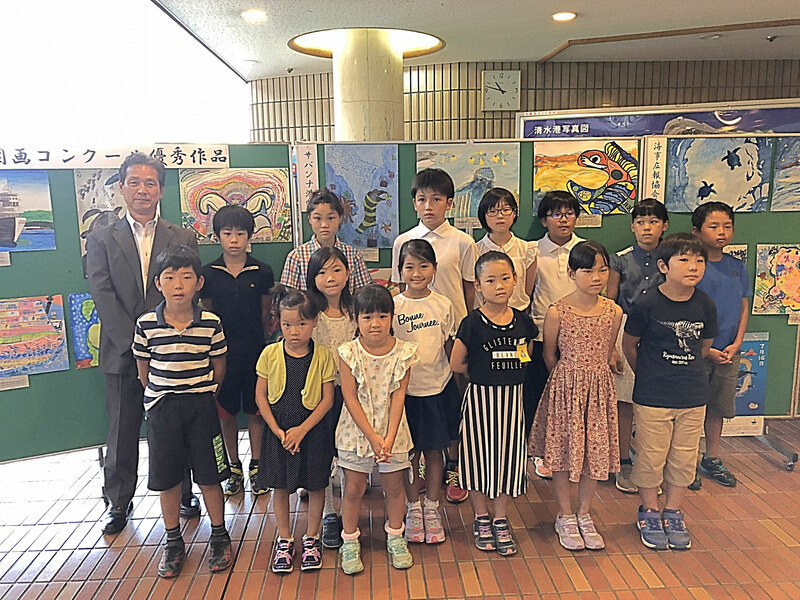 In July 19, 2018, the award ceremony was held as part of our celebration of Marine Day, a Japanese public holiday that falls on the third Monday of July. 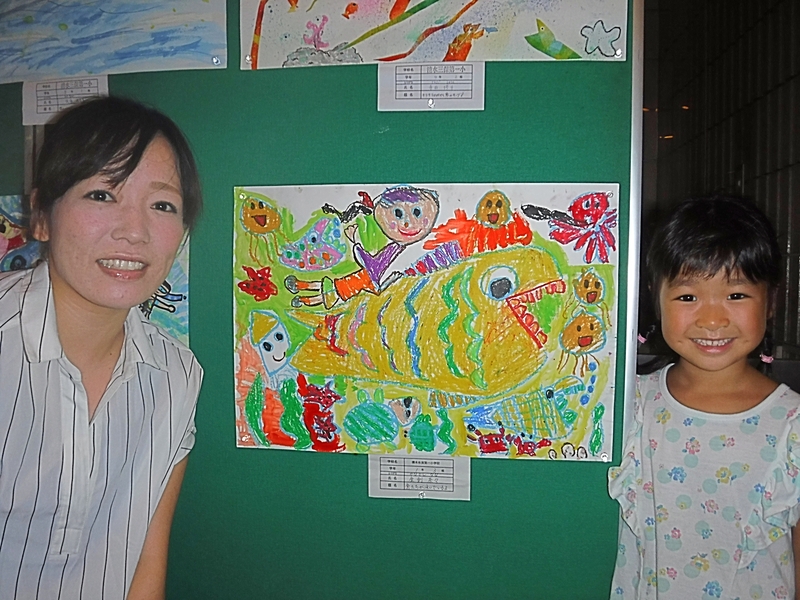 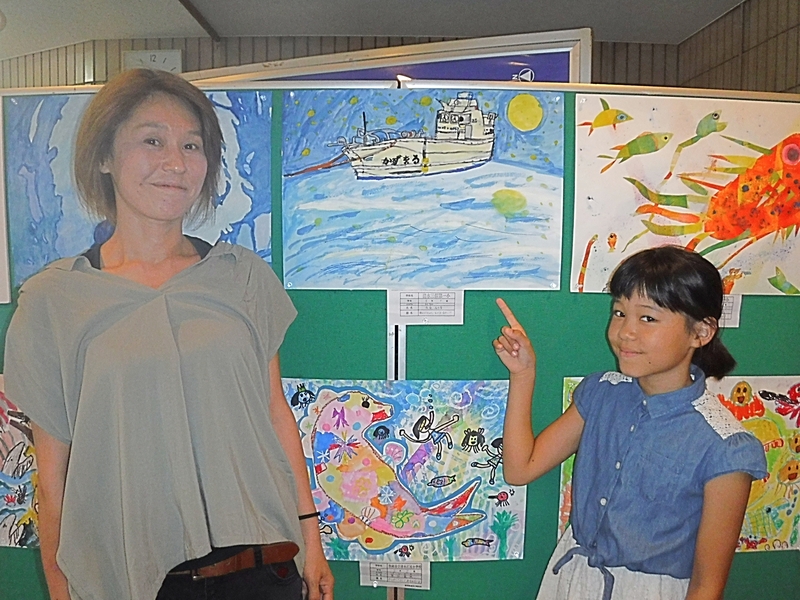 The art contest was the one of these events. 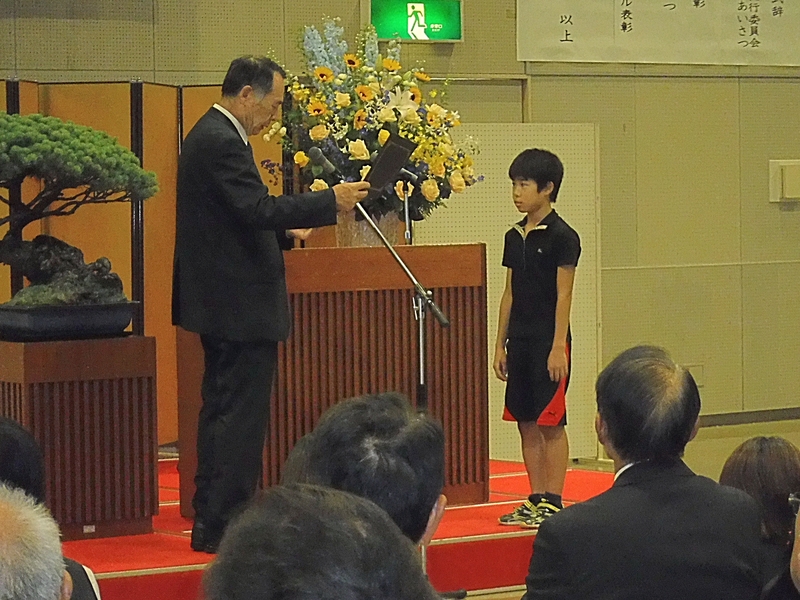 Kids were so happy to receive the certificates and prizes. 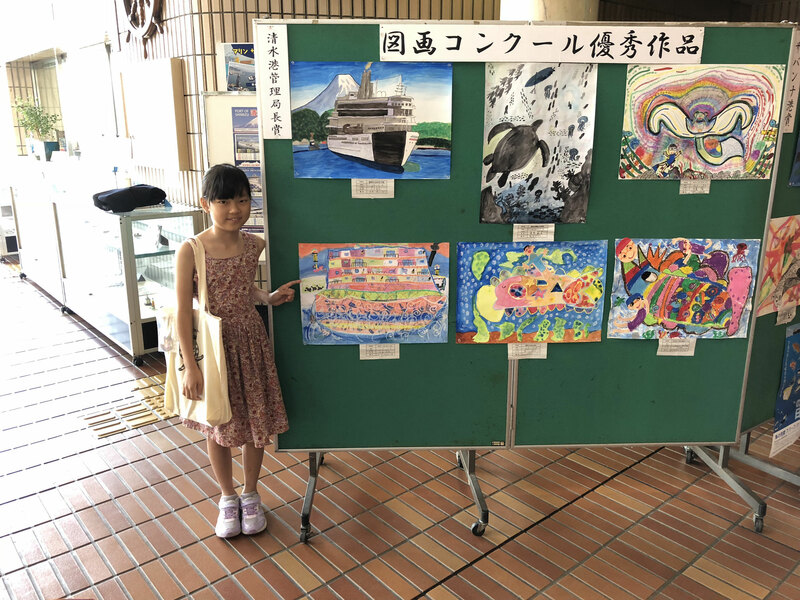 You will be able to see these award pictures at Verker , Shimizu Port Terminal Museum by the end of July, 2018. 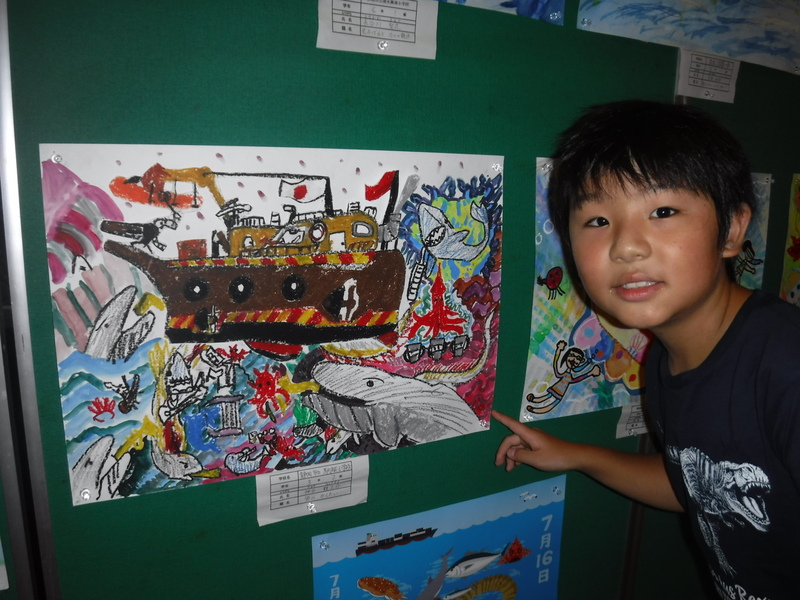 Please also see related blog post.